The organisers of Antigua Sailing Week would like to congratulate the winners of the Antigua and Barbuda Hamptons Challenge which took place last weekend. Skipper Phil Walter recounts the day which was organized by the Peconic Bay Sailing Association. 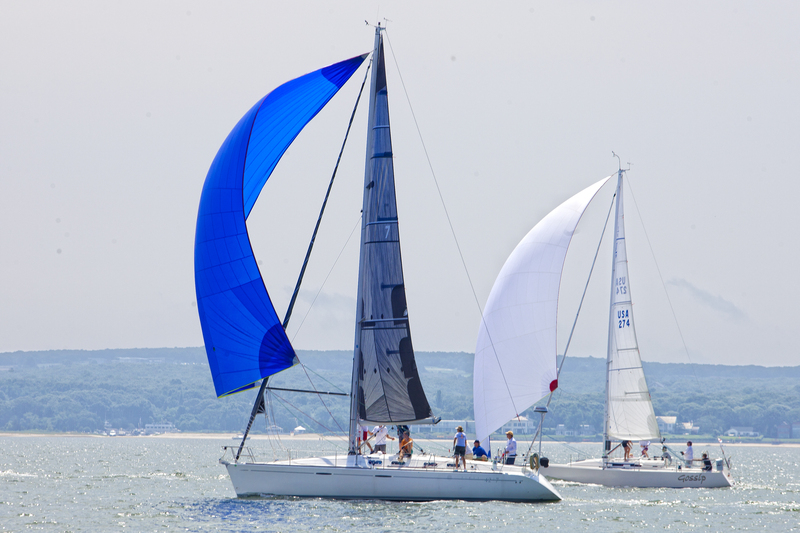 “The Association ran a great race using inflatable marks in a Southwester. We sailed August Sky in the non spinnaker Division 3 class. We watched the 1stand second division spinnaker boats start and noticed a shift to the left and increase in pressure. We sailed the long beat on port tack and it seemed the lefty stuck. This seemed to help us against the spinnaker boats because the downwind turned into a broad reach. The wind also freshened in the later half of the race to about 14 knots. In winning the Antigua and Barbuda Hamptons Challenge, Phil and his crew are the lucky recipients of an all expenses paid trip to Antigua Sailing Week in 2019, taking place from Saturday 27th April to Friday May 3rd. They will be racing on 39ft Dehler, Spirit of Neptune, owned by Ondeck and staying at the St. James Club Hotel and Resort. We look forward to welcoming Phil and the crew next year to Race and Celebrate with us in Antigua.